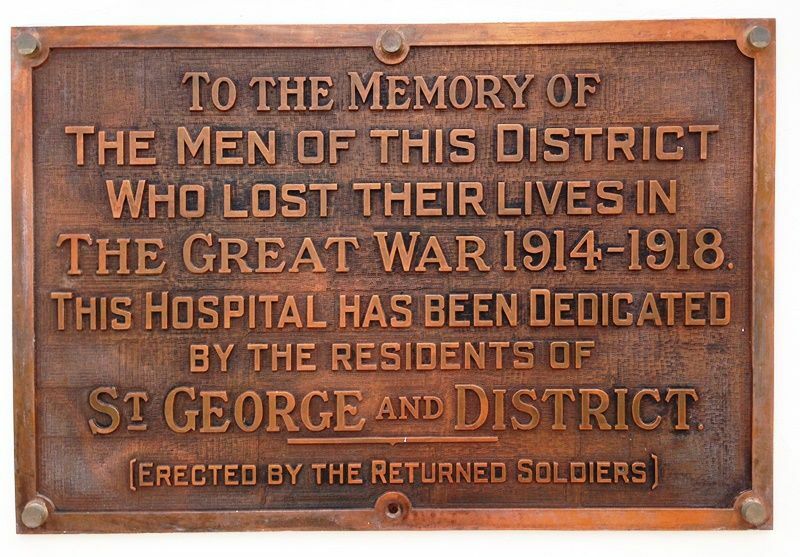 The St George Memorial Hospital was originally erected to commemorate those who died in service or were killed in action in World War One. The St George Hospital, known as the St George Soldiers Memorial Hospital, was officially opened by Mr M.J. Kirwan, M.L.A., Minister for Public Works on the 3rd February 1929. The Brisbane Courier, 5th February 1929. The Great War 1914 -1918.